I received one of these bras in a box of items to try and review. I absolutely love the bra. It is the most comfortable bra that I have ever worn!! After wearing this bra, I put on my usual underwire bra and couldn’t wait to take it off!! If you haven’t tried this bra, you should! When you do, leave me a message to let me know if you loved it as much as I do. 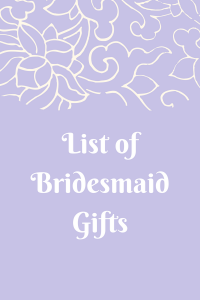 This list of bridesmaid gifts is for all of you that are planning your wedding. My daughter got engaged on Labor Day! We are so excited! I have been looking at wedding stuff since that day and will likely be posting a lot of wedding lists in the near future. Bridesmaid gifts are gifts that most brides give to their bridesmaids. 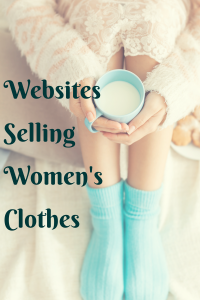 If you are looking for a list of websites selling women’s clothes, here is a great list. You will probably find many of them that you have never even looked at before. There are several on this list that I just recently found. Let me know which websites you like to shop at for women’s clothes in the comments below. Hope you enjoy checking out all of these sites! 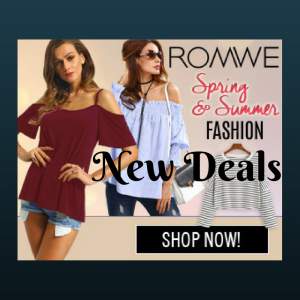 Check out this list of new deals from ROMWE! You can save up to 90% on clearance, plus many other sales. Are you looking for a wedding dress? Congratulations on your engagement!! 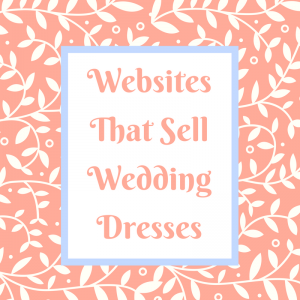 Check out this list of websites that sell wedding dresses! 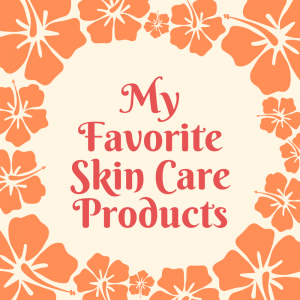 These are the skin care products that I use everyday. Well, I don’t use the microdermabrasion every day, but I do use the rest of them every day. It is very important to cleanse, moisturize and protect your skin. I have been using Mary Kay skin care products for almost 30 years. Have you seen these fish tail blankets? My step-daughter asked me earlier this year if I thought that I could make one for her. I do crochet some, but I don’t think that I could make this blanket for the price that I could buy one. She was thinking that it might be less expensive. There are some that are quite expensive, but not all of them. I think I need to get myself one too. 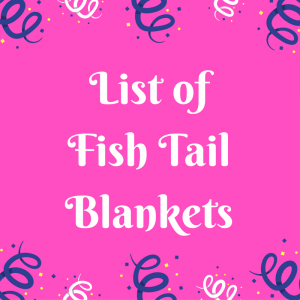 Do you have a fish tail blanket? They are also known as mermaid tail blankets. They look so cozy! 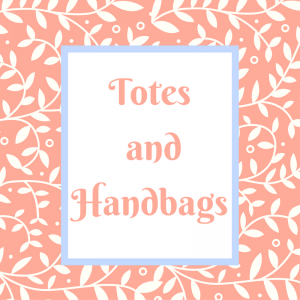 If you are looking for a new tote or handbag, check out this list! 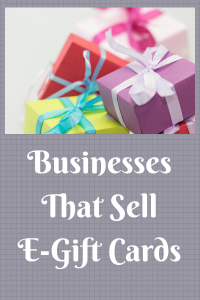 Are you looking for a gift for someone that loves purses? Then, this list is for you! Which is your favorite? I really like the light pink bags!